Needless to say, since I am without internet this week, I was unable to choose a feature. 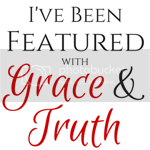 But I look forward to reconnecting with you all next week here at Grace and Truth! It’s our favorite time of the week, right?! 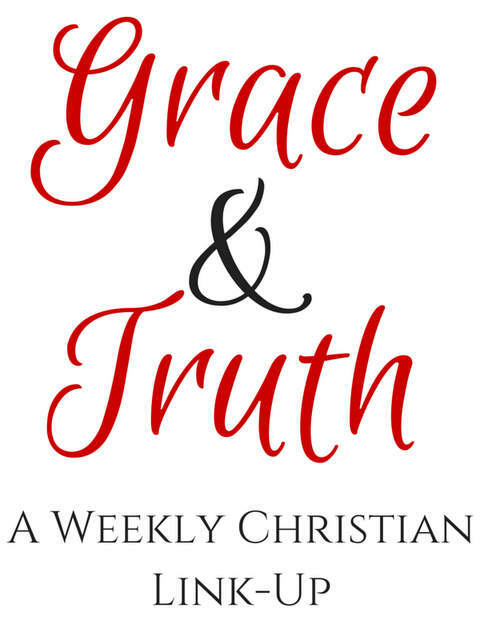 Fridays mean the Grace and Truth link-up goes live, so we are all ready for your encouraging Christian Living posts! This week I’m happy to share with you a post from Deborah at Growing in His Grace about When His Words Hurt. Deborah discusses those times when we spend time in the Word and what we read there hurts us. What will we choose to do when that happens? and that His love for you will be evident.